SAN JOSE, CA--(Marketwired - June 23, 2015) - Pulse Secure, a leading provider of access and mobile security solutions to the enterprise and service providers, today announced that Sudhakar Ramakrishna has been appointed CEO and a member of the Board of Directors, effective immediately. Ramakrishna brings nearly 25 years of industry-related experience that includes product and marketing strategies, business management and domain expertise across a wide spectrum of software and security technologies, including cloud-based architectures and solutions. Most recently, Ramakrishna was the senior vice president and general manager for the Citrix Enterprise and Service Provider Division. In that role, he had profit and loss (P&L) responsibility for a portfolio of approximately $2.5 billion covering virtualization, cloud networking, mobile platforms and cloud services solutions. 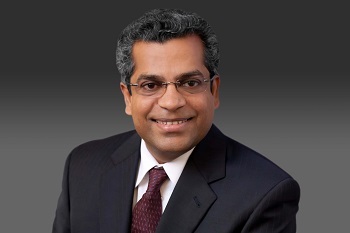 "Sudhakar is the ideal CEO to lead Pulse Secure's rapidly evolving business," said Al Zollar, Pulse Secure Executive Chairman and executive partner of Siris Capital Group, LLC. "His deep-rooted expertise in the enterprise networking space is a perfect match for Pulse Secure. During Sudhakar's career, he has thrived -- not only in innovating and growing revenue extensively, but also with a proven track record of leading world-class organizations by identifying and building exceptional talent, developing strong corporate cultures and delivering customer growth with purpose. We couldn't be any happier to have such a proven leader at the helm." The appointment of Ramakrishna further exemplifies Pulse Secure's commitment to the enterprise and service provider segments and being the leader in next generation secure access solutions. The announcement comes on the heels of tremendous company momentum, including the launch of a new channel program, Pulse Secure Connect Now. Pulse Secure's products were also recognized by InfoSec's Global Excellence program for NAC, SSL/VPN and BYOD solutions as well as the by the Govies for Access Control Software and Controllers. The company protects more than 20,000 enterprise customers, 18 million endpoints and owns more than 200 patents. "In the era of mobility and the cloud, with amorphous and ever changing enterprise boundaries, secure access to infrastructure and applications is a key business challenge for organizations of all sizes," Ramakrishna said. "I look forward to working with the Pulse Secure team and extending its legacy of delivering innovative solutions to address critical and evolving security needs of customers and delivering great user experiences." Before Citrix, Ramakrishna served as President of Products and Services at Polycom, where he was responsible for the company's $1.4 billion voice and video collaboration products, global services and operations team. He previously held product and business leadership roles at Motorola, 3Com and U.S. Robotics. For information on Pulse Secure, please visit www.pulsesecure.net. Pulse Secure, LLC is a leading provider of access and mobile security solutions to both enterprises and service providers. Enterprises from every vertical and of all sizes utilize the company's Pulse virtual private network (VPN), network access control and mobile security products to enable end user mobility securely and seamlessly in their organizations. Pulse Secure's mission is to enable open, integrated enterprise system solutions that empower business productivity through seamless mobility.